Suitable for children from 6 months baby to 25kg/55lb. 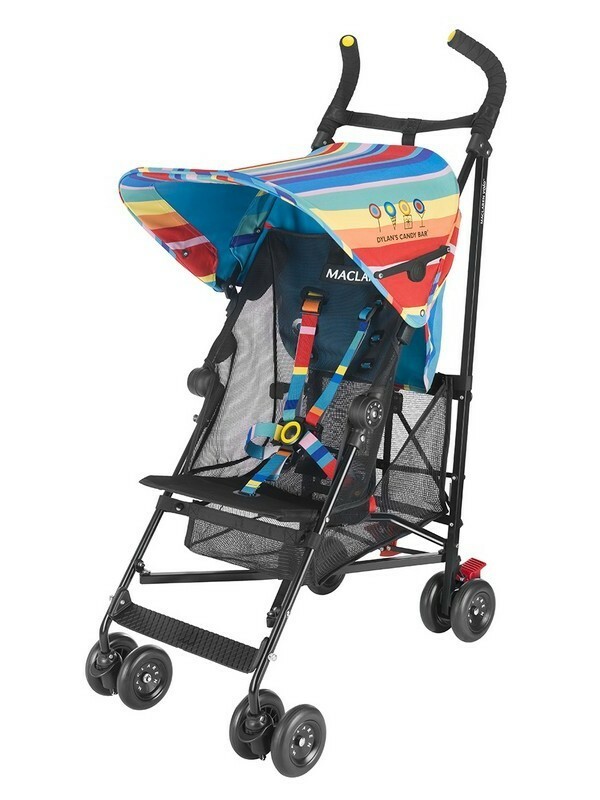 Dylan's Candy Bar Volo stroller, a Maclaren Object of Design, brings festive fun to every walk. The raincover and waterproof, rainbow hood protects against the elements whilst the 5-point harness offers safety and mesh seat and customized liner add comfort. Designed for children from 6 months to 25kg/55lb, this compact stroller is easy to fold and maneuver at 4.3kg/9.5lb size. Includes raincover and liner.